It doesn’t matter who you are, you’re always going to need to recharge a device during those days and nights of holiday visits. Whether it’s for that tablet or smart phone, you’re going to need a spot to charge your device, and it will need to be something that doesn’t take up the greater part of a suitcase or purse. You no longer have to worry about being without your phone/camera/mini television so that you don’t have to listen to another one of Aunt Mary’s stories anymore. Cable Keeps are what I’m talking about. These were sent to me for review a while back, and I had the chance to test them out while on the road for several trips this fall. 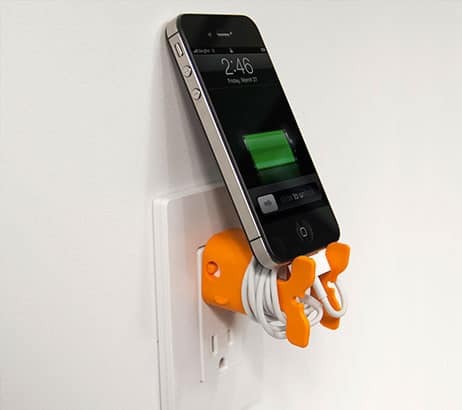 While I am an Android user, this mini charging station can be used with Android, Apple products and even Windows phones. 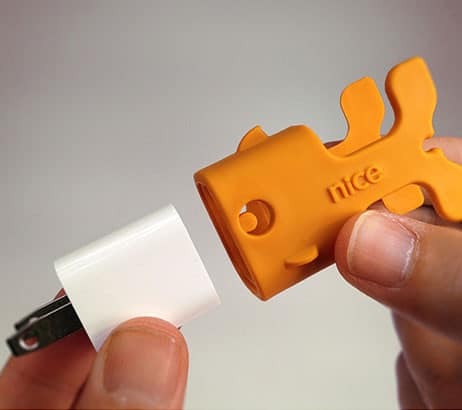 You can purchase just the charger, or the charger plus cords on the site, or at various Container Stores around the country. The great thing about these great little doodads is the fact that you can rotate the plug to fit in any outlet whether it’s horizontal or vertical (yes, this is something that I had to figure out while in a hotel in Wisconsin) and you’ll then be able to prop your charging device up. The cellist (Nathaniel) will certainly be getting one as a stocking stuffer, since he is ALWAYS on some techie device. He has an iPad for schoolwork that he received during orientation that will forever need to be charged with as much as he uses it for everything. Count our kindles, tablets and mobile phones, and each one of us needs to have a five pack in our stockings – including the ladybug and the twizzlers. Since the adapters fit neatly in a bag or purse, I don’t have to worry about my cords becoming tangled or taking up precious real estate in bags. Price points start at $13.00 for just the adapter to $24.99 for the adapter and correlating cords.